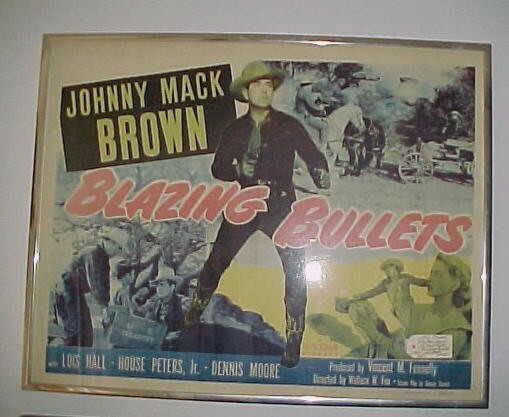 Original movie poster "Blazing Bullets" starring Johnny Mack Brown. Metal frame. Great for Home Theater. Original movie poster "Blazing Bullets" starring Johnny Mack Brown. Metal frame. Great for Home Theater. Please email cowboycabin@centurytel.net with questions or call 406 270-2842.